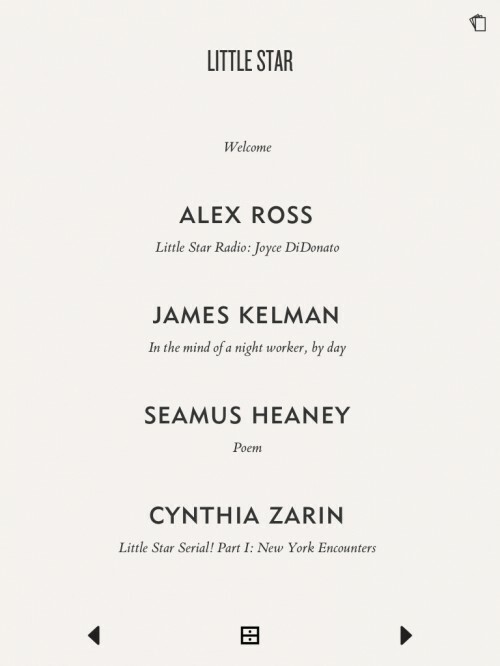 A digital mini literary magazine delivered straight to mobile phones, iPads, or laptops once a week. Little Star Weekly features A poem, a piece of prose, and a literary serial, a piece of art, music sometimes, plus or minus. Take a virtual tour of the app version here. 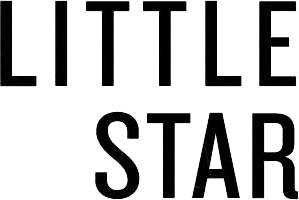 Here’s an index of all our Little Star Weekly authors. Our app is discontinued as of February 28, but we are working to make the archive available as e-books. Stay tuned! a free bonus to our readers! Get a first sample issue on the house, and subscribe through the iTunes site for $3.99 for a month; $39.99 for a year; or $1.99 for individual issues. 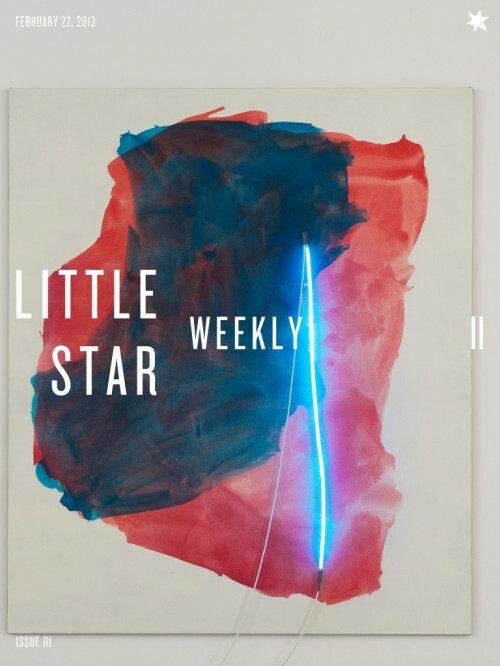 Issues of Little Star Weekly will be deliverd to your iPhone, iPad, or iPod every week, with a notice to you (“push notification”) if you request it. Subscribe through our site, get a log-in and password, and read your issues anywhere! that puts app technology directly in the hands of creators. Learn more about them in The Wall Street Journal and Bloomberg News. All part of our effort to make a home for serious literature in the digital future.